Good Institute and good flexibility in learning. Benefits for working employees with good learning experience. Despite all of this pros, the institute should also have to provide some quality time based, on-line training programs & courses such as :- Information Technology, Quality Control, Marketing, Administration/ Management skills, Banking & Finance,Etc.. for all students, so that they can choose their best, for the career growth. I am very thank full to IIBM for Complete my master degree course with my on duty job and my routine work and also thanks your councilor for give proper guideline . 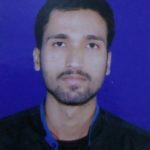 I have good study experience after taking admission in IIBM Institute…. All the Counsellor very supportive..and I am satisfied with their study material and live lecture IIBM Institute is very good platform to online leaening. I proud to be a part of IIBM. Thank you. As of now received good support related to course and prompt response by all from IIBM Institute. Really proud to be an IIBM student!! The study materials were that best quality that I could not find the difference of in-house classes and Online learning. The learning CD, books, visits helps us to enhance our knowledge in each field. Once again thank you so much IIBM. I have already got my dream job but I know I will get better career opportunities in near future. Just wanted to say thank you very much for all the support. I liked the practical approach IIBM for supporting us in completion of my course. The extensive coverage of study modules is extremely competitive. Mentors are extremely helpful and that has helped in understanding even the most difficult part of the course. Everything is fine till now, The Study Material Provided and e-learning content is very helpful. I take this opportunity to thank this institution to help us study this course in better and easy way. IIBM mentors are providing us timely help whenever required and they also guide us in a proper way to complete this course.I would like to see the same until I complete and get my course certified. Thanks to All. Sandeep manager working with a Global Analytical Company, having 12+ years’ experience with expertise in strategy implementation, business process improvement, and knowledge management. completed 11-month journey to learn analytics at the Executive Program in Business Analytics (EPBA) run by IIBM Institute of Business Management.